In a Nutshell: When Joshua Dorkin’s investment property began costing him more than it earned, he turned to the internet for advice on improving his prospects as a landlord. What he found were advertisements for weekend seminars that cost almost as much as he spent on the property he rented out. Determined to learn more about the subject and pass that advice along to other potential investors, he created BiggerPockets. Now, the site hosts an online forum and produces a wide array of educational resources, as well as the world’s most popular real estate investment podcast. And because having your finances on track is an important first step to investment, the website launched its BiggerPockets Money Podcast in 2018 to offer expert-guided advice on ways to save, budget, and grow wealth. Back in 2004, Joshua Dorkin decided to use some of the money he’d saved and put it into real estate. He purchased a house thousands of miles away from his residence, hired a property manager, and waited for the checks to come rolling in. He quickly learned that it’s hard to succeed in any field without proper education. First, he didn’t know how to properly vet a property manager and ended up choosing one who, in turn, didn’t know how to effectively vet tenants. The result was missed rent payments and property damage that nearly sunk the investment before it began. 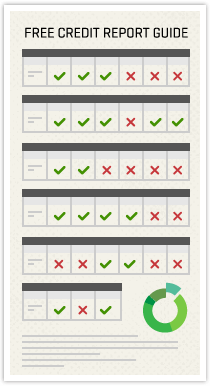 Online searches for information on property investing yielded few results. Self-proclaimed successful investors offered weekend workshops that cost thousands of dollars and crammed expensive knowledge into a few brief speeches. Determined to better his situation, and that of countless others’, Dorkin created BiggerPockets, a website that offers free educational tools and lessons to help users achieve financial freedom. The website hosts a popular forum and is home to the most downloaded real estate investing podcast on the internet — the BiggerPockets Podcast. In January 2018, the company introduced the BiggerPockets Money Podcast, which offers tips on how to grow wealth to help listeners in their financial journeys. For Mindy Jensen, Community Manager at BiggerPockets and co-host of the weekly Money Podcast, each episode is a labor of love. Jensen also manages the BiggerPockets forums and said the top question she receives from users is how they can get into real estate investing with no upfront money and bad credit. Jensen’s own real estate investment experiences make her a key contributor to the website and podcasts, where she regularly educates listeners and readers on ways to get into real estate investing with minimal upfront costs. Each week, Jensen and co-host Scott Trench interview unique and powerful thought leaders about how to earn more, keep more, spend smarter, and grow wealth. After one month of recording, the podcast is already averaging around 25,000 downloads a week for previous episodes. Past episodes include interviews with experts on creative ways to save money by making more cost-effective meals, as well as budgeting and shopping in ways that create excess cash flow that can be used to eliminate debt and save toward investment opportunities. 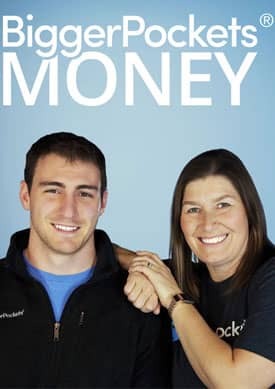 Scott Trench and Mindy Jensen host the BiggerPockets Money Podcast. Jensen, whose finance background lends to her blogging expertise, said she enjoys helping listeners discover new ways to audit their spending. She said the first time she tracked her spending, she realized how much her daily trips to the grocery store cost her. Jensen said that consistently tracking expenses can lead to other eye-opening experiences that can cut costs over the long run. Jensen and Trench’s tips are entertaining and insightful and have led listeners to breakthroughs in their own financial journey. Jensen and Trench also maintain the website’s real estate theme by providing insights into their own methods of investing, which they call House Hacks. Since 2013, Dorkin and co-host Brandon Turner have interviewed real estate investing expert, and provided education from their own experiences on the BiggerPockets Podcast. 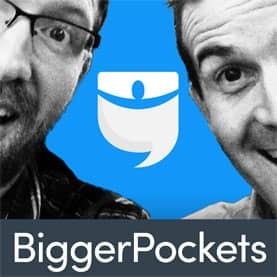 Joshua Dorkin and Brandon Turner host the BiggerPockets Podcast. Jensen, who is a contributor to the show, has her own real estate investing method that she calls “Live-in Flipping” that has paid off over the last decade. She said maintaining the residence for two years is important to the IRS. After owning and living in a property for at least two years, the 15-20% capital gains taxes are eliminated — up to $250,000 if you’re single or $500,000 if you’re married —when the house sells. Jensen said she currently owns a house for which she paid $176,000. After putting approximately $100,000 of work into it, the house is now worth $550,000. Without the exception, the gains taxes on that sale would equal $41,100. According to her bio on BiggerPockets, Jensen has used this method multiple times in the last 10 years to great success. Jensen’s experience happened more by circumstance than design. When she was ready to buy her first house, she had a choice of either an ugly home or remaining with her parents. She purchased the home and two years later sold it for double what she paid. Thousands of people turn to BiggerPockets every month for the podcast and the financial education content that is free of charge. Over the last decade, the company has increased in size to become the internet leader in real estate investing advice for consumers with almost any amount of money to invest. The website’s latest addition, the Money Podcast, taps into a vast network of experts to discover new and insightful ways of saving, budgeting and growing wealth. The goal is to show listeners that small lifestyle changes can lead to big gains — without completely revamping your habits. Jensen and her coworkers see the advice they give as a free service to a community of listeners who want to improve their savings, but need help learning the things not taught in school.